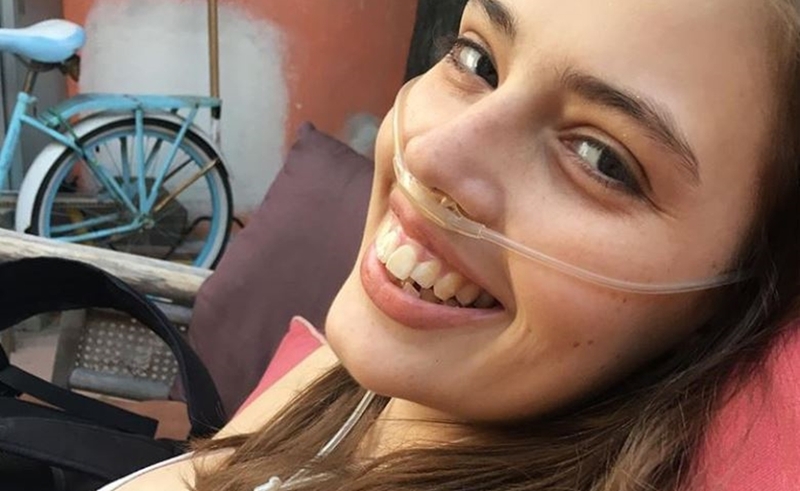 Claire Wineland, who chronicled her lifelong battle with cystic fibrosis on a popular YouTube channel that counted more than 250,000 subscribers, passed away over the weekend from a massive stroke after undergoing a double-lung transplant. She was taken off of life support on Saturday, reports The Washington Post. The 21-one-year-old was diagnosed with cystic fibrosis at birth — a life-threatening illness in which organs are beset with an excess of mucus — and spent the majority of her life in hospitals. Roughly a year ago, Wineland began sharing brazenly honest videos on YouTube that showcased life with a chronic illness — albeit with her singular sense of humor. Clips featured titles like I Don’t Want To Be Happy *Hospital Rant* and What It Feels Like To Die *Reupload*. On her popular Instagram page, Wineland also shared a humorous and heartwarming peek into her days. Wineland’s health had taken a turn for the worse in recent months, according to the Post, prompting the transplant. According to a statement on Facebook from Laura McHolm, the chairman of Wineland’s Claire’s Place Foundation, “she was not in any pain and the medical staff said it was the most peaceful passing they had ever witnessed.” In lieu of flowers, Wineland’s family is asking for donations to be made to Claire’s Place, which assists cystic fibrosis families in need. Wineland was mourned on social media by fellow YouTube luminaries including Casey Neistat, Shane Dawson, Molly Burke, and Loey Lane.